This game is super cute and combines fun with learning and problem-solving, making it an ideal game for children as young as 5. In fact, as they’re digital-natives, which means they’ll probably thank you for buying them this super fun and interactive game. 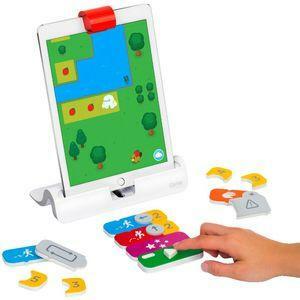 Designed by TIDAL Lab, at Northwestern University, your child will learn new coding skills whilst immersed in gameplay. Everything is more fun with a buddy, and Coding Awbie has thought about this, so that you are able to get your best friends involved and play together. Make sure that you have an iPad, then you’re ready to go!